Gilmore’s title decided in dying seconds of the Target Maui Pro as Carissa Moore takes the win. 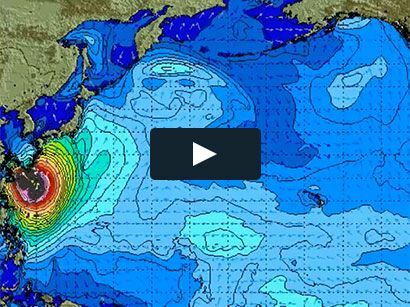 Surf News Network, 27 November, 2014. Australian Stephanie Gilmore, 26, has claimed her 6th world surfing crown today, besting an international field of world-class athletes on the 2014 Samsung Galaxy ASP Women’s World Championship Tour. Gilmore opened up this year’s season with an emphatic win at home on the Gold Coast, reestablishing herself as a threat to the title following years of pressure applied by a new generation of talent. While Gilmore started the season strong, it was opponents Carissa Moore (HAW) and Sally Fitzgibbons (AUS) who quickly surged to the front with back-to-back wins at Margaret River/Bells Beach and Rio de Janeiro/Fiji respectively. Compatriot Tyler Wright (AUS) would throw herself into the race with wins at Huntington Beach and France, but September saw Gilmore strike back with a major win at Lower Trestles before consolidating with another victory in Portugal and taking the ratings’ lead heading into Hawaii. Heading into the final event of the year, the Target Maui Pro, the world’s best surfers returned to the idyllic pointbreak of Honolua Bay – a venue that Gilmore dominated when it was previously on the schedule, posting victories in 2007, 2008 and 2009. Despite an in-form campaign at this season’s event, Gilmore fell in the Quarterfinals to Californian Courtney Conlogue (USA), leaving to the door open to remaining contenders Sally Fitzgibbons (AUS) and Tyler Wright (AUS). Immediately following Gilmore’s elimination, Fitzgibbons was ousted from the event by Bianca Buitendag (ZAF), dashing her hopes for a maiden world surfing crown and leaving only Wright remaining in the hunt against Gilmore. Wright, needing to win the event to send the title race to a three-heat surf-off, proceeded to smash her Quarterfinals and Semifinals heats before meeting Moore in the Final. The two form surfers went blow-for-blow in the Final match, but it was Moore who nailed the coffin shut on her final ride with a 9.73 (out of a possible 10), taking the Target Maui Pro win and handing Gilmore her 6th ASP Women’s World Title. Today’s title clinching puts Gilmore one behind the all-time women’s record-holder of Layne Beachley (AUS) with 7 and third behind all-time men’s and women’s record-holder Kelly Slater (USA) with 11.